← Holding the hook and yarn. 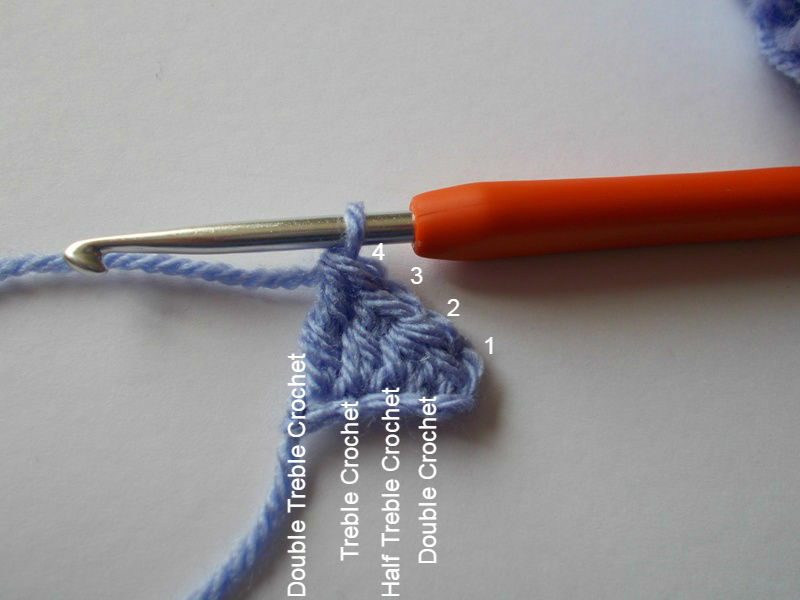 When working crochet in rows or rounds you will need to work a certain number of extra chains at the beginning of the row or round in order to bring your hook to the correct height for the particular stitch you will be working next. You will need to work anything from one chain to four chains. Here you will see a sample of the different stitches with the chains marked 1-4, as you can see how the different number of chains brings it to the correct height for the stitch marked along the bottom. Here is a table with the correct number of chain stitches you need to make a turn for each stitch. When the work is turned at the end of a straight row the extra chains are called a turning chain. When working in the round the extra chains are called a starting chain. The amount is the same as the table above it is just termed differently. 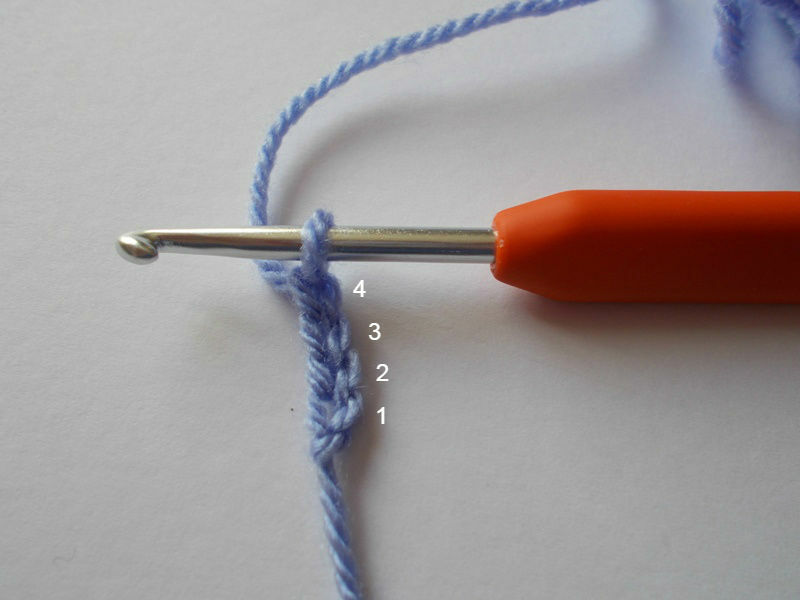 NOTE The turning or starting chain is usually counted as the first stitch in the row or round EXCEPT in the case of the double crochet where you ignore the single turning chain and don’t count it as your first stitch. This entry was posted in Crochet, How To and tagged Starting Chains, Turning Chains. Bookmark the permalink.